Sam and I moved here from New Mexico – a similar growing zone, but a vastly different climate and landscape. At least four distinct food cultures merge in New Mexico: Mexican, Spanish, New Mexican (Navajo) and American. Besides history, the other huge factor that influences the food culture there is the barren landscape: dry, poor soils, and very little available water. There, sustainable agricultural practices are a mix of historic knowledge and innovation combined with modern techniques. One hugely important practice in New Mexico is variety selection. For example, farms growing European vegetables, such as carrots, beets and kale, must have ready access to water. Therefore there can only be so many farms growing European vegetables in a land where there isn’t even enough water to support the population. On the other hand, there are varieties that can withstand dry farming, such as corn, beans, squash, amaranth, and sunflowers. Of those, you see corn and beans as staple ingredients in the cuisine in much of the Southwest. Not only do those crops withstand poor soils and drought, but they store easily, making them an invaluable resource for year-long sustenance. Lately, it is with appreciation that I remember the traditional New Mexican food culture. Perhaps my contemplations are catalyzed by the barren period we are now emerging from, or perhaps it is the simple joy of thinking of the thousands of years of variety selection that led us to the sustenance of the corn, beans and squash in this week’s share. One thing I now appreciate is a simply cooked pot of beans, served perhaps with warm corn bread and some simple greens. They are made sort of like a stock, with aromatics that make a flavorful bean broth. A note about beans: The beans offered in our CSA shares were grown this past season. You might find that these beans cook faster and are more flavorful than those you find in the store. Most beans (but not all!) stocked on shelves and in bulk bins are over a year old, and as a result become very dry and lose some flavor. Take care to cook these beans slowly and check them about 20 minutes in to make sure they don’t get over-cooked. 1. Cover the beans with several inches of water, about 3-4 times their volume. 2. Let soak 6-12 hours. 3. Add the onion, chiles, garlic, oil and dried herbs. 4. Bring to a boil, then reduce heat and simmer for 30-45 minutes, until beans are at their desired consistency. 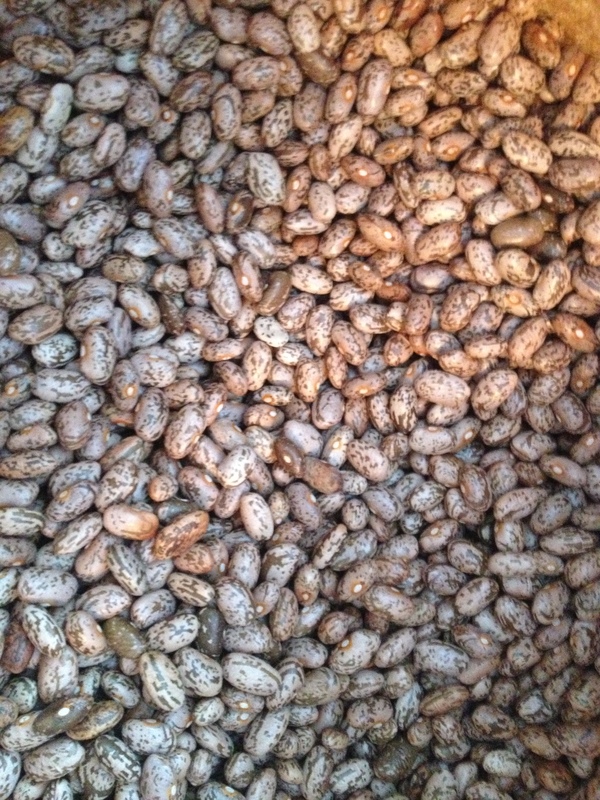 Be sure to check them about 20 minutes in though, fresh beans have a tendency to dry quickly. 6. Serve warm with whatever accouterments you wish! I enjoy salsa, chopped raw onion, and avocado slices. thank you for your sharing your love and work.